I posted HERE about my Teacher Time Bin for Guided Reading Groups during Daily 5. With kids who are below, on, and above grade level, this bin has been a lifesaver when the texts are so different and the needs are so varied. One thing I do differently from the original Daily 5 is that I do still pull kids for Guided Reading groups, so "Teacher Time" takes the place of "Work on Writing" (we have a separate Writer's Workshop time, so kids still get tons of writing during the day). My groups are organized according to Guided Reading Level, and we switch between authentic literature and guided reading resources (short books, nonfiction books, etc. that are much more structured for Guided Reading Groups than a chapter book) throughout the year. It is completely packed, but there is a method to this madness, I promise! Small White Boards & Markers- these are lined on one side and blank on the other and are perfect for finding vocabulary, answering questions from the resources mentioned below, quick informal assessments, and the like. I found 4 of these for $1 at Office Depot (woo hoo!) in the school section, and I only have 8 since it's for small groups. Nonfiction Text Features Posters- these come and go in this bin, depending on what we are reading. I also shrink these down to 1/2 their size and put a binder ring in them to keep them together. 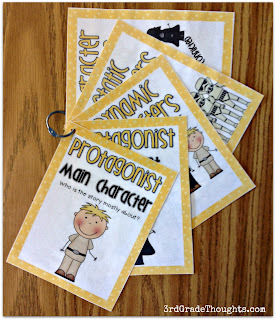 If we are in a nonfiction article, I will use these a LOT so kids can get tons of practice in small group, which I have found helps my strugglers when it comes to Scholastic News on Fridays. Character Posters- I have two sets of these-- the Wizard of Oz and Star Wars-- so kids can use the ones that speak the most to them :) The Star Wars has been particularly popular with my boys, and that has been awesome, since getting them jazzed about the types of characters in a book is never easy ;) I printed these front-back to save on paper and shrunk these down to 1/2 their size as well-- paper, space & ink are always at a premium! Story Elements Question Fans- I picked these up from Runde's Room and LOVE them! These little slips are like my cubes on steroids- they are so in-depth and my kids love them just as much since they are way more clever than plain ol' questions I tend to generate at 8:30 in the morning ;) We just started using these and I can't wait to keep introducing more and more- they are so extensive! Guided Reading Prompt Cards- These are a great free resource from Shelley Gray and they are still awesome :) I find I am not using them as much at this point in the year, but they were a lifesaver at the beginning of the year because they are sosososo kid-friendly! Holy moly, that felt like a tour through Mary Poppins' endless carpet bag! 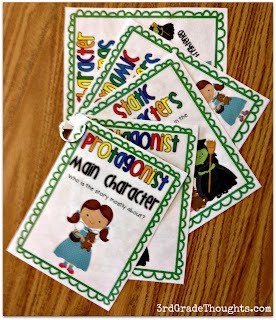 I also use the materials that are included with the books or articles we are using, but I have found that these resources have been much more exciting and engaging for the kids, so that is a win all around! I'd love to hear other resources you use and I hope this helped if you also use a Teacher Time bin during your Daily 5 or Reader's Workshop time. Enjoy the rest of your weekend! My goal for this week: Make a teacher time bin like yours!!! I remember seeing yours before, but I just didn't have the time to get it together! Now I am determined!! It was hard to get my guided reading groups going this year, but now they are going strong, so this will be perfect!! You always have such wonderful ideas, Stephanie!! You can shrink the posters when they are a pdf right? (I just skimmed the tutorial...thought I would cut to the chase and just ask you ;) hee hee) I have those non-fiction ones in my cart. I LOVE THEM!! Yes it's awesome!! It is honestly my most favorite function in the world! On the print screen, hit "Multiple" and you can shrink down PDF's to 2 to a page, 4 to a page, make bookmarks (that's what my tutorial is on), and more. I use it all.of.the.time..... I actually use it more than the full-size option now :) :) Thanks so much!! Your bin is awesome! I am going to have to move back to guided reading with one of my classes and this will definitely come in handy. Thanks for sharing! I love it!!! I'm all for organization. Great way to keep items neat and at your finger tips ready to go!! I do Teacher Time/ guided reading too! It's too important for me to give up...I just alternate the read to self with read to someone every once in a while. I wish my stuff fit in a neat little tub....I have more more of a teacher shelf! Lol! I got Jen's fans too and love them:) Great post! That is a fabulous bin. I think I'm going to need to make one very soon! I love this! We just got iPads, too, so I am going to have to do this recording as well! Thank you so much for sharing! Wow! We don't use Daily 5 in my classroom, but I can seriously see a lot of these items being super helpful when it comes to Guided Reading time! It's mobile, it has all of your supplies and everything is cute to boot. I have had those fans on my Wishlist for so long, I need to just get them already! Thanks for posting this.. It's just what I needed right now when I feel like Guided Reading has hit a slump. I modeled a lot of my Daily 5 on your blog--thanks! I was so glad to have some help in figuring out how to continue to do guided reading, while also incorporating Daily 5. My kids (and I) love it! I have a question for you...do you do more fiction or non-fiction in your groups? Our focus is very heavy on non-fiction, so a lot of the cool things in your basket don't fit :( Thanks for your blog--it's great! I just love the idea of putting everything in one crazy basket! 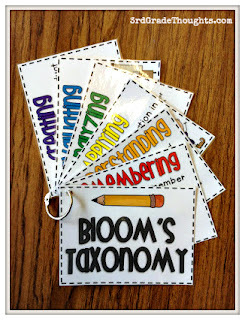 I am pinning your idea for all my teacher friends! What a really great way of organizing everything. You have some amazing tools right at your fingertips. I am loving this post. 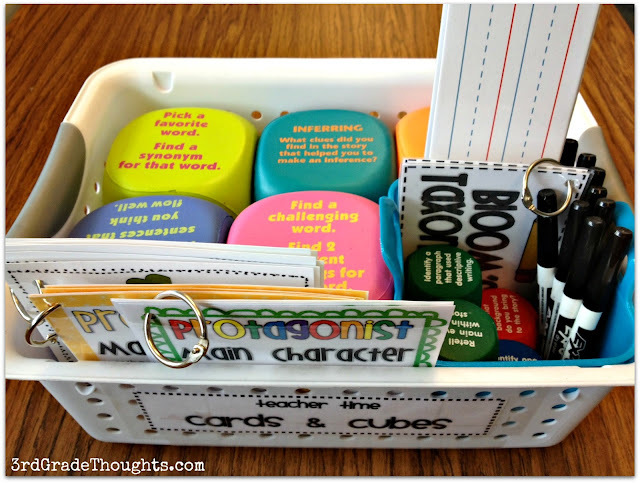 I'm making a guided reading bin like this A.S.A.P! My district is changing their reading block schedule next year, cutting about 15 minutes off my Daily 5 time. I've been stressing about how to still fit everything in but I love your idea of cutting Work on Writing. I love for my kiddos to have time to free write BUT we do writer's workshop in my room so they write every day during that time. I feel like this is a great compromise! Thanks so much! Could you please tell me where the 'cubes' came from?! THANKS! This bin looks awesome! 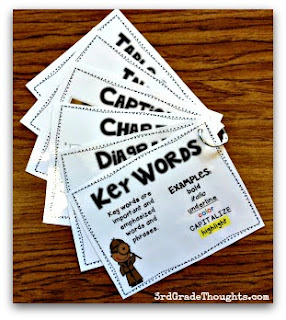 I just finished a blog series about guided reading and I am looking forward to adding your shrunken posters to my bin. I really enjoyed your ideas! My question is this I have 45 minutes. I normally have the groups come in a start reading their book and then select a daily 5 activity. This has not been working out for me thus far, because I have my kids pick where they want to go on the smartboard rotation chart. My problem is the students want to play around on the board. Not sure if I should select a place for them to go at each rotation or should I pick the first activity and then let them pick after that and not have them read their books when they first come in!! Help!!! !